Good evening, everyone. Yes, I’m a night person, and ordinarily, I’d be creating a message perhaps to touch your mind and heart with helpful information on your journey. But due to a current health challenge, I’ve not been up to writing a full contribution this week. So I’m offering a few short poems I wrote that may at least bring some useful food for thought. And by the way, I would enjoy some comments to share your thoughts, positive or negative. We gain pleasure from the positive, and we learn from the negative. Thank you for both. We’ve known the pain and sorrow. The sun’s gonna shine tomorrow. And love in all my ways. To let them know I care. I run away and search out there. But God speaks to me in quiet times. His voice comes in so clear. But feelings that I hear. The truth I need to see. My journey to find me. And I know it’s not out there. For I’m the one who has to care. Find your beautiful self, and love every inch of you. There’s no one else like you in the universe, and there’s much you’ve yet to discover. I wish you much happiness on your journey. Don’t Underestimate The Power of Laughter. It Could Save Your Life. 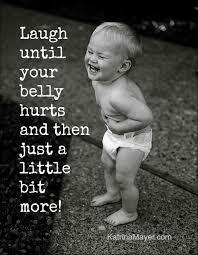 When was the last time you laughed–that doubled over, belly shaking, tear jerking surrender to feeling good laugh? You know–that thing kids do and we need to do everyday. It touches your very soul. And it’s fun. So why don’t we deliberately pursue laughter or create things to laugh at instead of waiting until we happen to see or hear something funny? Maybe we’re just so caught up in the burdens of daily living that we forget that valuable gift that could literally change our life. I think most people know laughter is good for you, but maybe not to the extent it’s vital to physical, mental, and emotional health. Laughter has a long line of benefits. It exercises stomach muscles, lowers blood pressure, gets the heart pumping, reduces pain, aids the immune system, helps memory and sleep, reduces stress, calms anxiety, triggers dopamine, and more and more. It’s also contagious and brings people together. Even smiling affects us in positive ways. What a happy pill for good health. Maybe you’ve heard of Norman Cousins who wrote The Anatomy of an Illness in which he documented his successful journey from terminal illness to health using laughter for healing. He left the hospital and created funny scenarios for laughter, like Groucho Marx movies. And he spent much of each day laughing. His case contributed to alternative medicine and inspired research into the benefits of laughter in illness and pain management. You don’t have to wait until you feel like laughing to laugh. The Cancer Treatment Centers of America use various forms of laughter therapy. One exercise to cause laughter is to put your fingertips on your cheekbones, chest or lower abdomen and make “ha ha” or “hee hee” sounds until you feel vibrations through your body. I’ve tried it, and it really works. Had me laughing in no time. 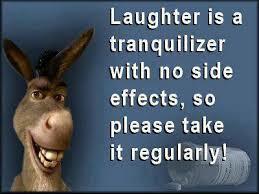 They also use Laughter Yoga in which several laughter exercises are incorporated into a yoga discipline. God must have known I’d need a sense of humor and the ability to laugh, because I’ve been aware of that gift my whole life. It has brought me through some tough times, and I’m still learning how to use it more effectively. I’d like to share a poem I wrote in 2001 about laughter. And fills the empty space. So don’t wait for something funny to turn up. Create your laughs–everyday–everyday. Watch some funny movies, listen to music. The Chipmunk Song always makes me laugh. Do the “ha ha” and “hee hee” thing. 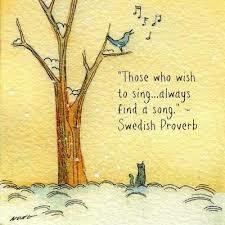 And feel health, peace, and joy happily moving through your body, mind, and spirit. Picture your inner child having fun laughing out loud, rejoicing in life. Celebrate yourself with a good hearty laugh. I wish you the joy of laughter in all your days. My New Book Is Now Out . . .
Recognizing And Healing Your Loneliness. It’s ironic…the subject I chose for today’s blog post. Last night I lost my brother. He passed away and left a hole in my heart that will need to heal. It’s never easy, but now I’ll have to experience my loneliness, let it be for a while, and then let it go. I love you, my brother, and I’ll miss you always. We all know what loneliness feels like. But each of us perceives this emotion in our own unique way. Some even equate loneliness with being alone. But the two are different. Loneliness is suffering, while solitude of itself is simply being alone and need not create loneliness. It may sound strange, but both can offer opportunities for self-discovery and personal growth. Loneliness involves a sense of loss and/or separation, and may come from many sources; loss of a loved one, divorce, the empty nest, illness, isolation, rejection, loss of a job, retirement, etc. Maybe you’ve always been lonely, and you don’t know why. It just feels like a piece of your heart is missing. For some people, loneliness is the result of a childhood experience that left them feeling unloved and alone. When I was 6 years old, my father died, and it left a hole in my heart that was filled with loneliness. For most of my life, I suspected that was where my loneliness came from and I fought it, even though I knew that resisting something strengthens its presence. Then a couple of years ago, I was so tired of the fight, I just let it be and looked for a way to let it go. That’s when I found an EFT (Emotional Freedom Technique) practitioner who helped me release it. I will always miss my father, but I no longer feel that deep pain I lived with for so many years. from this experience my inner child learned that she’s okay with her daddy’s arms around her, and I became freer to be me. 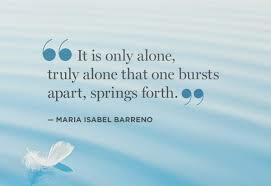 We live in two worlds, the inner and the outer, and we can find help in the outer. But the letting go must ultimately come from within. Accept your loneliness as where you are now. Then it’s no longer your enemy, but a possible step to something new and wonderful. Loneliness can bring a letting go of old ways and limiting beliefs; it can lead to freedom and purpose; and it can be used to transform your life. Sometimes when a person is lonely, they’re afraid to be alone. But alone time can help free you from loneliness. It can be a time to get to know yourself better, and find ways to release your loneliness. Give yourself what alone time you need. 1. Determine the reason for your loneliness. What loss have you experienced in your life? Tangible or intangible? Is it from your childhood? When did it happen? 2. It’s important to allow yourself to grieve your loss and accept, yes accept, where you are now. The pain may be deep, but give it the time you need to feel your feelings. 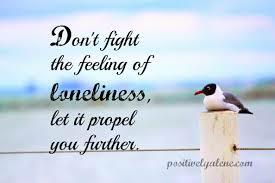 Don’t fight loneliness. Let it be for now. 3. When you’re ready to release the loneliness, use intention with commitment. 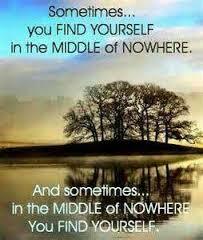 Find help in the outer and ways within to let it go. Talk to your loneliness, tell it how you feel, give it permission to leave. 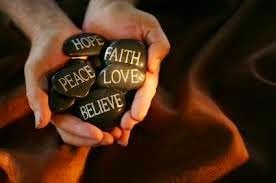 Bless it with peace, and release it. 4. Ask yourself what you can learn from this experience. How can you grow from it? 5. Use this time alone to go within and communicate with Spirit–you have never been separated from this inner love and comfort. Then reach out to others with love from your heart. Loneliness will have nowhere to live, and it will leave you. You are not that wounded child you feel inside. Understanding what a glorious creation you are, in spite of your losses from whatever source, can leave you free to experience the love, joy, and peace that have always been yours to claim. Do You See Your Rainbow? It’s There. I’m 10 years old on a school trip, mesmerized by a sight so beautiful my breath escapes me. Thousands of tulips. Michigan tulips. As far as I can see they stretch across a field before me, and fill my eyes with brilliant color beneath a soft blue sky above. Their colors form a rainbow in my mind. Yellow, red, purple, pink, orange, white, all swaying in the warm breeze while the springtime sun sparkles on their petals. I hold my chest and sway with them, overcome with awe at a sight I only dreamed of in my story books. For a while, this incredible sight replaces the loneliness I feel at home. It’s nobody’s fault at home. That’s just the way it is. This beautiful panorama of color taught me something I’ve carried with me my whole life. No matter what pain we encounter on our journey, there is always a rainbow somewhere. There have been times when I looked around at my life and saw nothing but dregs of what might have been. Boulders that looked too big to overcome. Doors closed to me forever. Hills too steep to climb. But my mind held the picture of the tulips, and I found my tulip rainbow’s message of hope, guidance, and promise for my life. And I picked myself up and moved on. Do you remember an experience in your life, perhaps in childhood, when you felt deep inside an awesome sense of being—that you mattered? It may have been an insignificant event to others, but for you it deeply touched your heart, and it’s still with you. Mine was my tulips. What was yours? When life throws you a curve, and you think you can’t get up, you may not see a rainbow. But the rainbow is always there. Maybe it’s just behind the clouds you see in your life, or between rain stops when they fall, or in birds talking to each other early in the morning, or in a child’s smile. You may have to get on a bus and take a field trip in your mind to find it. But it’s there. We’re all on our journey through life, and sometimes that journey gets rough. But the rainbow tells us there’s hope. Re-experiencing your memory with feeling is what creates your rainbow of hope, or whatever a rainbow means to you. When you find some kind of pain in your life, bring up your memory and picture a rainbow in your mind. And claim that rainbow as yours for the hope, and peace you want. If you don’t have such a memory, imagination is a gift we receive when we’re born, and you can create anything you want with this gift. Work the process, and know your rainbow is already there. You just have to claim it. Life has a way of putting the difficult stuff right in our face, while the good stuff remains illusive. Maybe that’s what teaches us how to be more alert and careful where we apply our attention. Rainbows are all around you. You have to know that. You have to believe that. And open your eyes and your heart to look past the darkness and find them. I wish you clear vision along your path . . . The Many Faces of Love ~ Happy Valentines Weekend Friends. I’ve sometimes wondered why we need a particular day each year to remember to express our love. Yes, Valentines Day reminds us of the blessing we carry around inside, but is one day each year enough to express that blessing? I’ve heard some people say they look forward to Valentines Day, because that’s about the only time they hear I love you. What about all those other times we could be just as thoughtful and giving as on that day? Have you ever wondered where Valentines Day came from? It has quite a history, and hasn’t always been only for lovers as we think of it today. It was once a pagan fertility festival, and later a religious celebration to commemorate St. Valentine. But there’s a difference of opinion as to which Valentine that was. There were several. By the 18th century it was common for friends and lovers of all social classes to exchange small tokens of affection or handwritten notes on one day in February, and by 1900 printed cards began to replace written letters. In our culture, the words I love you are usually meant in a romantic way. And hearing those words in any other context, at times, causes discomfort in some people. But there is love for family, friends of both genders, and even agape, or spiritual love. We tell our pets we love them. That’s okay. But we think carefully before we express love for another person. Love has many faces, but we deny what has become unacceptable. Love is a human emotion that lives in the heart, so why can’t we express it any time and in any way we choose? Would your neighbor think you were crazy if one day you said, You know what? I think you’re a great neighbor, and I love you? And how would your friend feel if you called on the phone one morning in June and said, Just wanted you to know I’m glad you’re my friend, and I love you? Love doesn’t always have to be verbalized. I wouldn’t feel comfortable saying I love you to a store clerk, especially one I didn’t know personally. But I’d love to give her, or yes even him, a rose just because I wanted to; or smile and wish a stranger a happy day; or hold a door open for someone struggling with an arm full of packages; or wink at a little boy riding in mama’s grocery cart. Isn’t that love? It doesn’t need to be Valentines Day. Any day will do. All year. Love has many faces. Love is our greatest gift, and it can be expressed in any form at any time. Love nourishes our cells, and without love we die inside. I’ve found that angry people are usually lonely, longing to be loved, and I’ve made peace with some angry people by expressing love to them in some way. There are many people who suffer from a lack of love in their lives. Maybe you’re one of them. It’s like wandering through life feeling like you really have no home. But expressing love all year will help you feel that home in your heart. Love has many faces. I wish you love every day of your life. One meaning of passion is to have a strong liking or desire for something. Passions create personal meaning and satisfaction in life, and add to our purpose for being. We all have those passions, especially during childhood. But in adulthood some of those deep desires, our inner dreams, get lost in the daily muck of activity. When I was a child, I loved to write poetry. But then I grew up, got married, had children, a career, then…then. What happened? Like many of you I got busy and tucked my passion for writing away somewhere. But I’m one of the lucky ones. When I retired, I remembered it, and I began following the passion I’d left in my childhood. 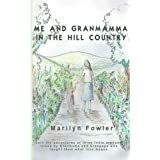 And I’ve just completed my second book, Me And Granmama in The Hill Country in southern dialect, with a video on You Tube reciting the first chapter in costume. Today I’d like to present an excerpt from my Granmama book as narrated by the oldest child, Marilee. When Mama left, she didn’t say goodbye. She coulda left a note. I was seven years old, and I could read. But she didn’t. Just packed up all her stuff and left fore dawn. I always fixed the toast while she cooked our breakfast, but that mornin I didn’t smell no bacon fryin or coffee perkin. I jumped out of bed and ran through every room in the house lookin everywheres for her, but there was just bare closets and quiet empty places where she used to be. I remember my little five-year old brother, Bo, and my little three-year old sister, Janie, sittin on the front steps in our night clothes, holdin hands and wonderin which way Mama went and if she’d ever come back. Didn’t matter though. She was plumb gone, and there weren’t nobody to take care of us. I felt like I were sittin on the edge of a cliff, and somebody pushed me over the side. But there weren’t no place to land. 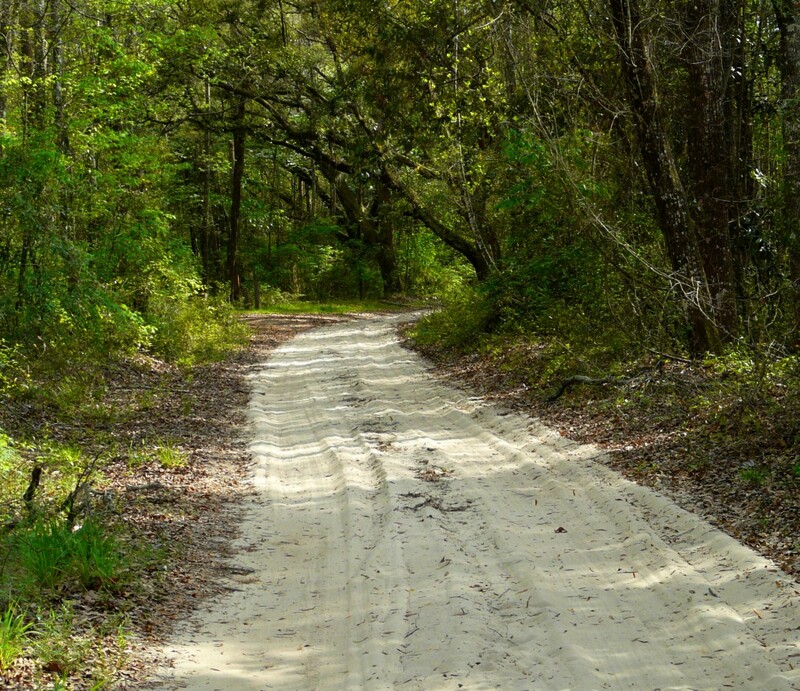 Walkin down the road to Granmama’s house that mornin weren’t like no other time I went there. The azaleas was still in full bloom, and the birds was singin and talkin in the sunshine. But weren’t nothin beautiful. My eyes glanced back at our house, and I swallowed the screams in my throat. How could she go off and leave us? How could she…? Weren’t no use. I pushed my hurtin feelins down deep, and squeezed Granmama’s hand tighter. Is there something deep inside that you’ve always wanted to do, but something holds you back? Maybe time, commitments, etc? Are you afraid to even address it, thinking you don’t have what is takes or it wouldn’t amount to anything of value? Or are you even aware of what you might be passionate about, as yet undiscovered? Look for answers to these questions to discover and clarify. List what it would take to fulfill your passion. ie, Create time; Address self-confidence, value, meaning, fear and financial needs. 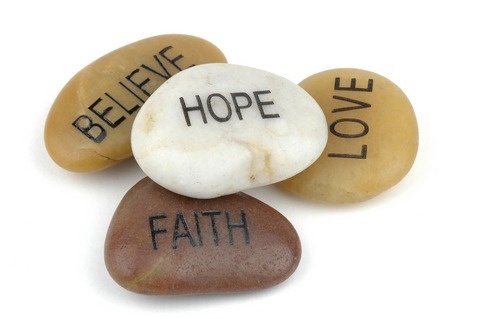 Write affirmations several times each day to promote confidence. ie, The time I need is there and I can find it; what I want is extremely valuable and meaningful in my life; I am capable of more than I think, and I am fearless; I am prosperous; I can do this, and I will do it now. If you have financial needs, start out slow, and find ways to move up. Believe in yourself, and as you gain confidence, go ahead and do what your heart desires. You can make it so. Now. Emotional scars from childhood remain with us into our adult life. We stay busy and try to push them out, but they’re always there, and they affect our moods, our self-image, and our choices. An example of childhood pain is related in the following excerpt from my book Silent Echoes. It takes place in the 1930s Depression years when I was in elementary school. My mother worked in a bar to support 3 children, and began drinking too much. when we’d lay back in bed, I’d listen while she’d cry and ramble on about the past when times were good and about her fears for the future. When she stopped crying and talking I’d snuggle close and hug her arm. Then it was all right for me to cry, because she was asleep and couldn’t hear me. I remember being so confused. I wanted to help her, but I didn’t know what to do. I didn’t know what to do with my own hurt, so I pushed it way down someplace where I couldn’t feel it so much, and I left it there to make room for the next time. I learned to watch her moods, and when she was grouchy, I knew better than to get in the way. I’d take my little brother out to play, or if a funeral was happening at the mortuary next door, we’d sit on the front steps and watch the people in black clothes crying and following the coffin to the waiting hearse. And we talked about what it must be like to die. Healing childhood wounds. No child escapes those hurtful times, some minor, some major, but just as you needed positive strokes when you were a child, your inner child may need that now. Setting aside some time everyday for that part of you to experience a second childhood, a happy one, can help heal the past and promote health in your life. Talk to your inner child often, express your love, and invite him/her to come out and play. Be silly, dance in the rain, laugh at yourself, refuse to eat your Brussels sprouts, whatever gives you joy. And watch that child blossom. I wish you a happy, peaceful heart.